I like to give Christmas gifts that are unique, and fun. I don’t want to give the same run of the mill items that will end up in the re-gift pile. The Grommet is the perfect place for me to turn to when I need something that is exciting and novel. 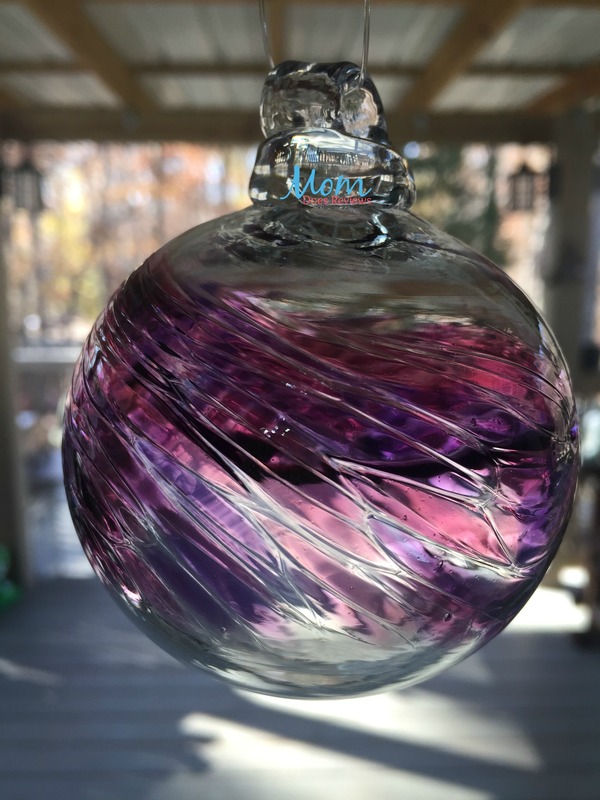 They have beautiful one-of-a-kind items that will make gift giving a breeze this year. The best part about The Grommet is they support small businesses and local markets. They spend thousands of hours searching for unique finds and helping the people behind those finds. Then the put them all in one place, so my shopping is a cinch! Tea time is a special time that to me is relaxing and social. These Blooming Tea Flowers take a time that is special and make it extra special and mesmerizing. 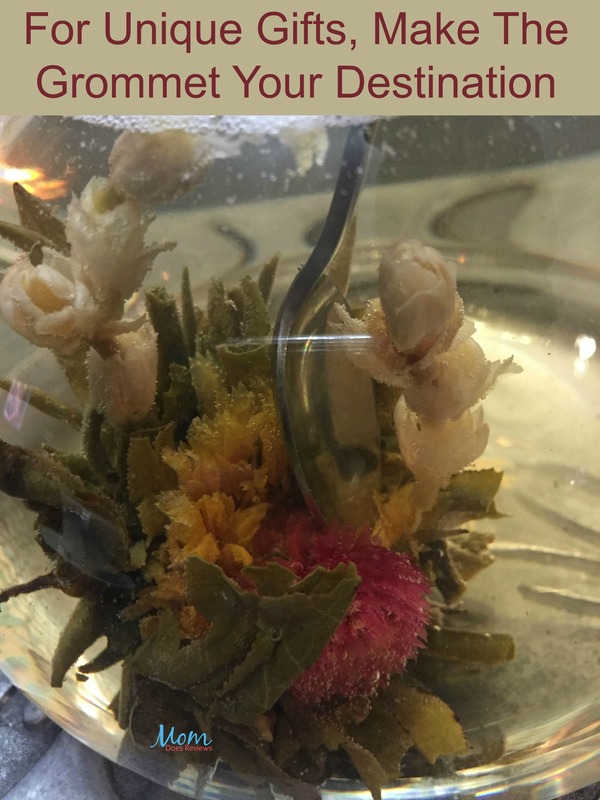 The blossoms open slowly inside the glass teapot and unfurl like they are truly blooming. Since they are infused with Chinese tea, they infuse delicious fragrance and flavor to the tea. Each blossom is good for three infusions and the set comes with eight wrapped blooming teas. I got Coconut escape and Lush lavender as my two tea flavor selections. The teapot is beautiful just on its own, but it is stunning with the tea flowers blooming inside it. My daughter and I had the best time having a blooming tea party. 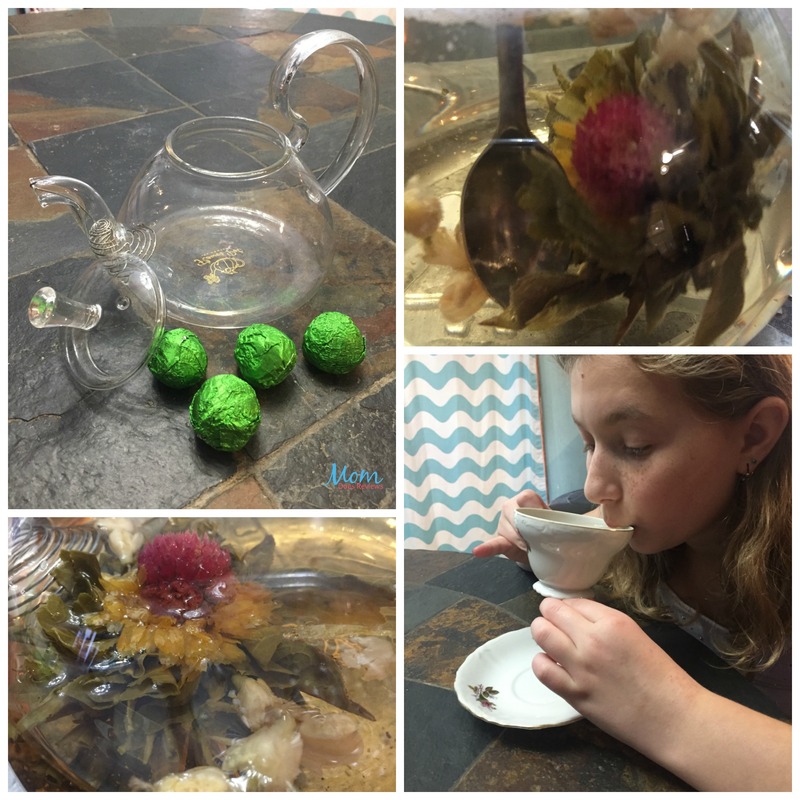 We put the tea bloom in the teapot and added our hot water. Then we sat down at the table to watch the show. The graceful dance the tea flower did was so enchanting. After it was done, we poured some tea into our cups and drank it. It smelled amazing and had a delicate flavor. Between the two of us we finished the pot of tea, and added more water to infuse a second pot. It was great fun and the flower was very pretty. This set would be an epic present for anyone who likes tea. I doubt many people have had their tea like this before! I love candles, but hesitate to get them as gifts because they tend to be the go to item if you do not know a person well. These Flatyz candles on the other hand are so neat, no one will think that if they get this as a present. 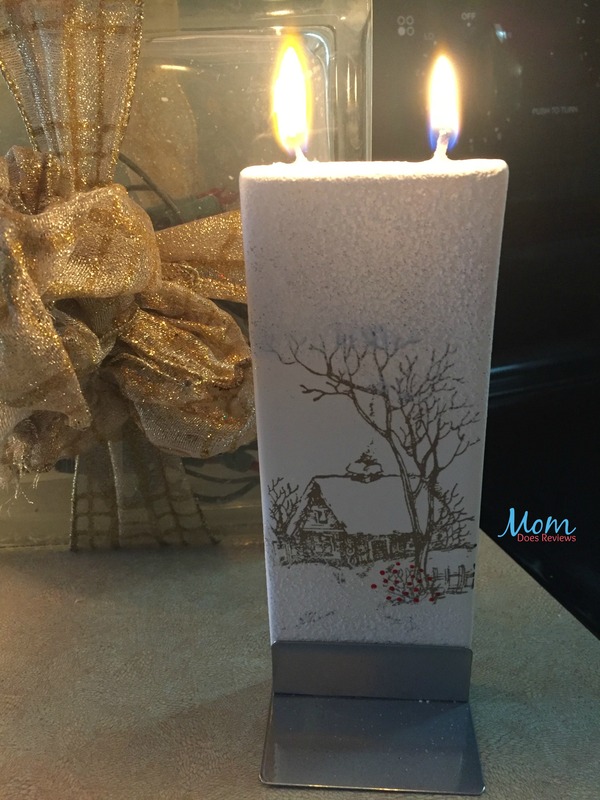 Instead they will be in awe of what a statement these handmade holiday flat candles make. They are simple, with twin wicks that burn evenly and self-extinguish as they near the steel base. There is no smoke or dripping wax, and the flatter design has a minimal feel. The festive patterns are hand painted in Lithuania, and will enchant everyone who sees them. I love the details in the pictures and how they are textured and 3-D. You can tell they are painted on, and they are done so skillfully. These beauties will make perfect presents this year for two of my best girlfriends. They will love the novel candle, and the beautiful art on it. All I have to do is add maybe a few bath bombs, and some cocoa packs for an indulgent gift basket. The perfect bath tub company! 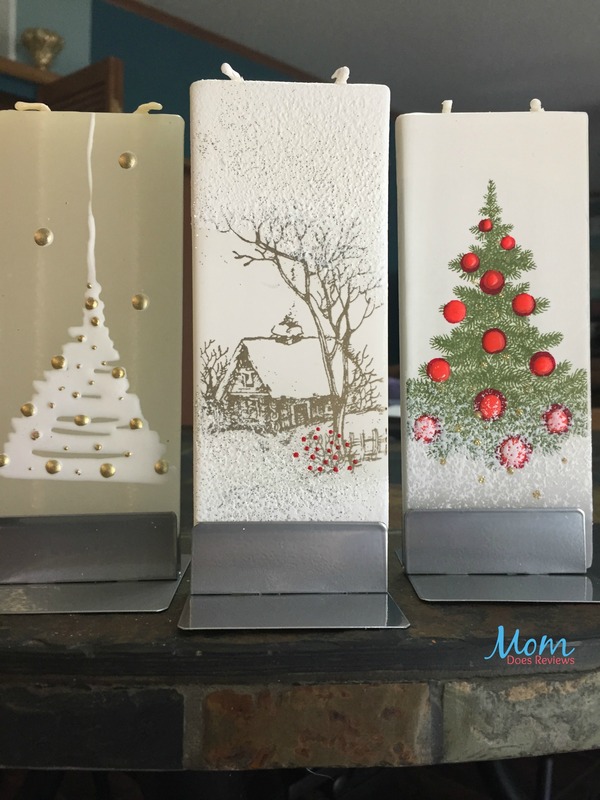 Plus I can jump back on The Grommet’s site and find great gifts for everyone on my list. I like the way it is set up to make my shopping easy, I just click on gifts for her, gifts for him, or the many other categories to narrow down my recipient. I found so many cool things I have never seen before. If you need gift ideas, or just want some great items for yourself, be sure to check The Grommet first! 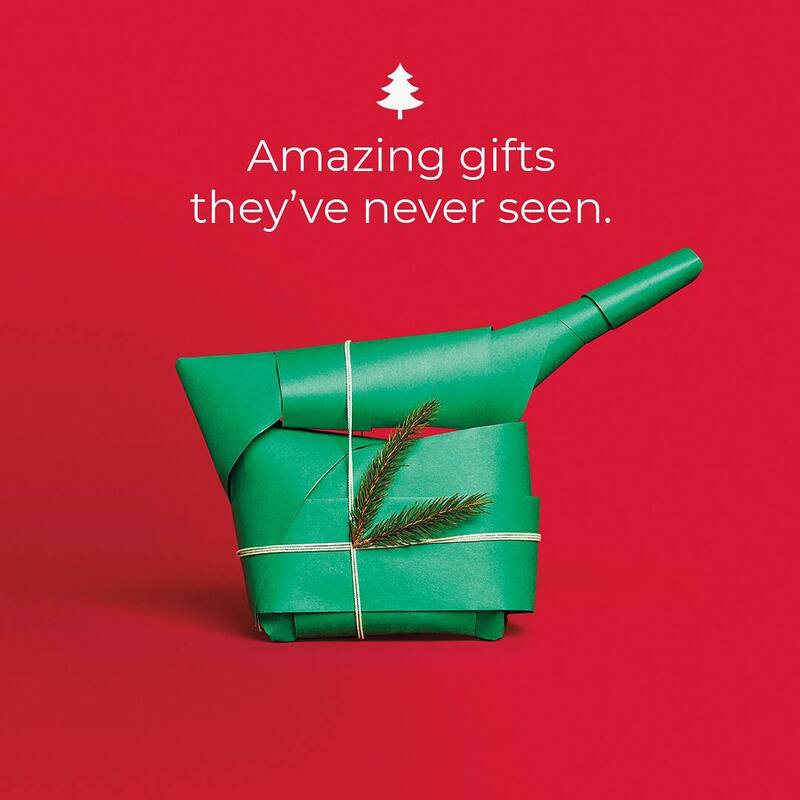 Which gift idea got your attention! The Grommet is now on our Christmas gift guide. Check the guide out right here!